What on earth has happened to Greece’s tradition of solidarity with democracy and human rights? Why is Greece, the European nation that lived under a foul, cruel, corrupt right-wing backed military junta from 1967-74 sending a message of support and endorsement to a foul, corrupt, military-backed dictatorship in Venezuela? One has to admire the chutzpah of Juan Guaido, the brave young president of the Venezuelan national assembly. He has invited the Greek prime minister, Alexis Tsipras, to come to Venezuela for a week to see for himself the despair of the country’s citizens as they look upon their president Nicolas Maduro, and the generals and admirals who back him to the hilt. 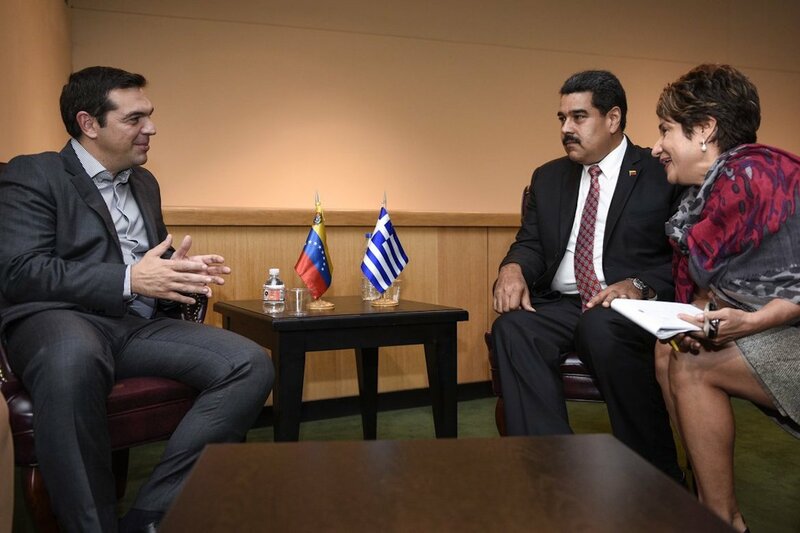 After his vocal support for Maduro it is unlikely Tsipras will take up the offer. Guaido’s party, Voluntad Popular (Popular Will), is affiliated to the Socialist International, the global federation of left-wing and socialist parties. The Socialist International’s president is George Papandreou, the former Greek prime minister, whose leadership was broken by European conservatives who insisted upon imposing the austerity measure that has cost Greece’s a decade of decent existence. Chilean Pedro Felipe Ramirez was imprisoned and tortured during the Pinochet dictatorship years. He was a left-wing politician and gay – two attributes that guaranteed the hate of the Chilean military. He spent his exile years in Venezuela and in 2014 went back to Caracas as Chile’s ambassador to Venezuela until 2018. I was the UK foreign minister in charge of Latin America at a time when the Tony Blair government tried to reach out to Hugo Chavez. Blair had a possibly naive but generous belief that if he treated newly arrived leaders on the world stage with respect and friendship they would respond. He rushed to drink beer with Vladimir Putin in a bar in Moscow in 1999 and invited Bashar al-Assad to London when the young, British-educated Syrian leader took over in Damascus. Hugo Chavez was given red carpet treatment in London. As I spoke Spanish I was sent to Caracas and Chavez held a long midnight meeting with me during which he quizzed me on Blair’s Third Way ideology. A day after my visit the Venezuelan right staged a mini-coup and detained Chavez. I was the first EU minister to demand his release and the UK sent a warning to Washington not to back the golpistas in Caracas. I met opposition politicians and never encountered such reactionary attutudes from men whose hate of Chavez was only matched by their wealth and complete indifference to any concept of social justice. Venezuela, one of the richest, most beautiful nations in the world, has been ill-served by goverments of both right and left, such as populists like Carlos Andes Perez in the 1980s and then Hugo Chavez, who turned ever-more demagogic and had no idea how to use the fabulous oil wealth of Venezuela to enrich all its people’s lives. Like the Saudi and other petrol dictatorships, Venezuela suffers from the modern curse of being too rich for its own good. It is no accident that Turkey and Russia – where the military and security generals have become rich in exchange for supporting an authoritarian president – have come out strongly in favour of Maduro and against the people of Venezuela. Now the Greek government of Alexis Tsipras is backing the Maduro dictatorship while other European-left prime ministers, like Spain’s Pedro Sanchez who knows the truth of the Maduro tyranny, are calling for new elections. In the week when the Syriza government made a major breakthrough against nationalist populism with the name-change deal on Macedonia being approved by the Greek parliament, the good name and image of Greece in Europe has taken a blow with the Tsipras decision to endorse a regime in Venezelua every bit as evil as the that of the Greek colonels of 1967-74. Greece and Greeks are with Bashar and Maduro. Because they are the legitimated leaders in their countries! If you dont like it, dont comment it. Better you look to your friends in Israel and Saudi Arabia if you want democracy!